I tried to study for a very boring history exam and couldn't keep my fingers still. Therefore after more than two hours I decided to call it a day and be a bit creative. My friend Yvy and me had plans to do self designed costume. She has a wonderful night costume and I wanted to do a Sun princess costume. The thought occurred to me after I read the Imriel books by Jaqueline Carey. But after my restlessness I wanted to do something quick and easy. 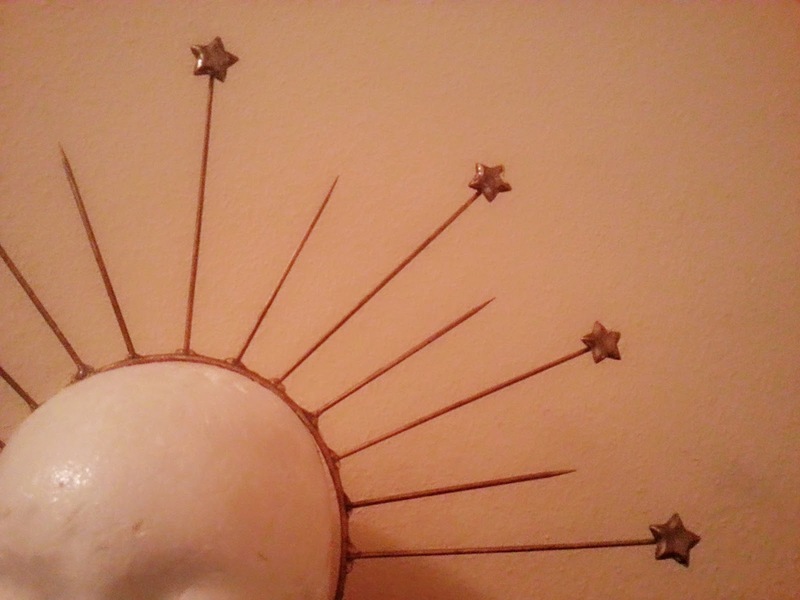 I still have stars from Christmas and instead of the sun princess I am now doing a star queen. 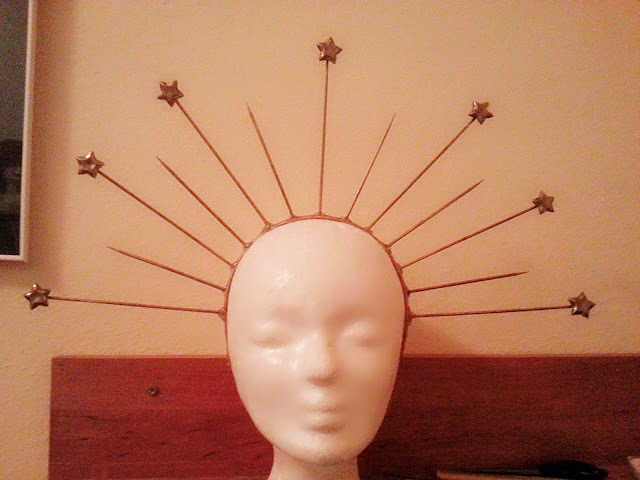 The headdress consists of bbq sticks cut to my desired length and plastic stars, all glued to a base. It is not finished yet but that will be the base. The colour will be silver and I have to repaint all of it. The dress will be a dark blue with white/silver rhinestones. I think it will look very good to my night partner.